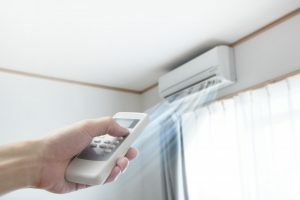 Ensure that your Air Conditioning is ready for Melbourne's summer. With winter over, it's time to ensure your Air Conditioning is serviced, installed and ready to cool your home. You can rest assured that Thomas Air conditioning will solve any cooling issues at a competitive rate. Unlike some other contractors, we will always aim to keep prices down and ensure fast response time. We employ only fully-certified and licensed refrigeration technicians who pride themselves on positive feedback and making sure that our customers are left satisfied. If you are one of our service contract customers, we promise to provide priority response and discounted rates in the case of breakdowns. Please call us for more information on service contracts. We do both installations and regular heating services of air conditioning systems. Regular services are advised to ensure the life-span and efficiency of your cooling system is at its best. We check fuel leaks and pump pressure to make sure your Air Conditioning System isn't costing you a fortune in electricity bills. Under performing Air Conditioning units can put massive costs not only on yourself, but also on the environment. We follow all industry codes of practice and our fully-qualified and friendly technicians are reliable and experienced, making us Melbourne's leading Air Conditioning and service maintenance team. We pride ourselves on delivering excellence in workmanship and customer service to ensure your heating needs are handled by professionals. For your Refrigerated Air Conditioning or Reverse Cycle Air Conditioning quote, Contact Thomas Air today. To organise your Air Conditioning Service and Maintenance, Contact us Today for a Free Quote!